Da Beatminerz (brothers, Mr. Walt and Evil Dee) are hip-hop legends. Responsible for two of the genre’s most essential and beloved albums in Black Moon’s Enta Da Stage (‘93) and Smif-N-Wessun’s Dah Shinin (‘95). Classic tracks like, “Bucktown”, “Who Got Da Props?” and “I Got Cha Open” have not only defined their work, but helped define an era of hip-hop and the New York sound from the ‘90s. Since their debut, their impact has been set in stone. Beatminerz productions, without question, have placed them as one of the best of all time. Their trademark, bass engulfed boom bap has been provided for what reads like a hip-hop hall of fame ceremony, with credits including Black Star, De La Soul, Nas, Eminem, Busta Rhymes, and M.O.P. just to name a few. 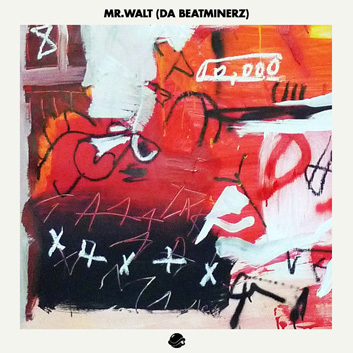 In 2009, Da Beatminerz launched an online radio stream that features regular live mix shows from Mr. Walt, Evil Dee and a team of rotating DJs. As of yesterday, Da Beatminerz announced that “Beatminerz Radio” has been picked up for broadcast on Sirius XM’s Shade 45. Mr. Walt drops the latest BTS guest mix, showcasing a taste of his "Megablast" mix series on Beatminerz Radio. All the way live, it’s a Beatminerz takeover.